When we think about luxury, high-end, expensive dining, caviar, which can cost up to $300 per ounce, no doubt is one of the first foods that come to mind. What is caviar and why is caviar so expensive? Caviar has always been associated with royalty and celebrity. Kings in ancient Rome and Greece were known to have exclusive access to caviar. Caviar was a delicacy for royal families across dynasties before champagne and truffles were invented. Modern day celebrities who enjoyed caviar include Marilyn Monroe, who said that caviar was one of the favorite foods. Elizabeth Taylor not only ate a lot of caviar, she loved it so much that she put it in her skin creams. Caviar has been used as a remedy for impotence. That makes it a good alternative to Viagra. Whether it is all in the mind or whether there is something in the caviar that has this booster effect, it doesn’t hurt to try. The ancient Romans and Greeks used caviar as a way to alleviate the blues. Caviar is high in omega-3 fatty acids. Recent scientific studies have shown that high doses of omega-3 fatty acids can be helpful in people with depression or bipolar disorder. The ancient royal aristocrats certainly were onto something. And besides, who wouldn’t feel better after having a $400 spoon of caviar? The most expensive and rare caviar is made from cured fish eggs from the beluga sturgeon fish. Some species of the fish are considered an endangered species. Beluga caviar has been banned in the United States since 2005 for that reason. Caviar is only produced in a few select areas, mostly near the Caspian Sea. Yet five-star hotels, airlines, and luxury restaurants from across the globe have a high demand for it. In the law of supply and demand, the higher the demand and the lower the price, the more market value a product has. Caviar eggs are harvested from mature fish. Some species of fish such as the Beluga take up to decades to mature before their eggs can be used for caviar. The amount of time and money it takes to farm grow the fish for caviar makes it all worth the price. If you’ve had salmon roe that’s commonly used is sushi, then you have some idea of what caviar tastes like. 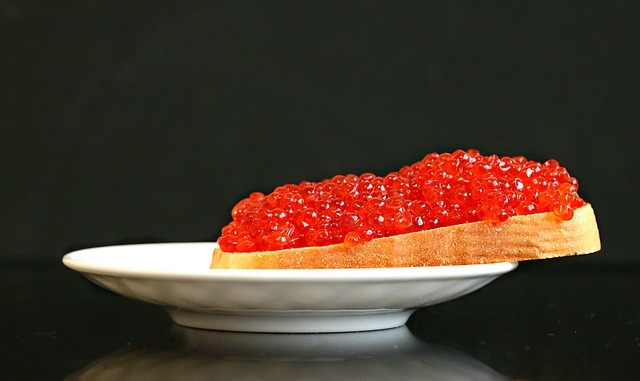 Salmon roe was made to imitate the taste and texture of caviar. It may be a far cry from the real thing, but for $5 it’s a decent preview. Not everyone likes the taste of salmon roe. Likewise, caviar may not taste as good as its price tag. Part of the reason why people are willing to pay so much is because expensive things are status symbols. 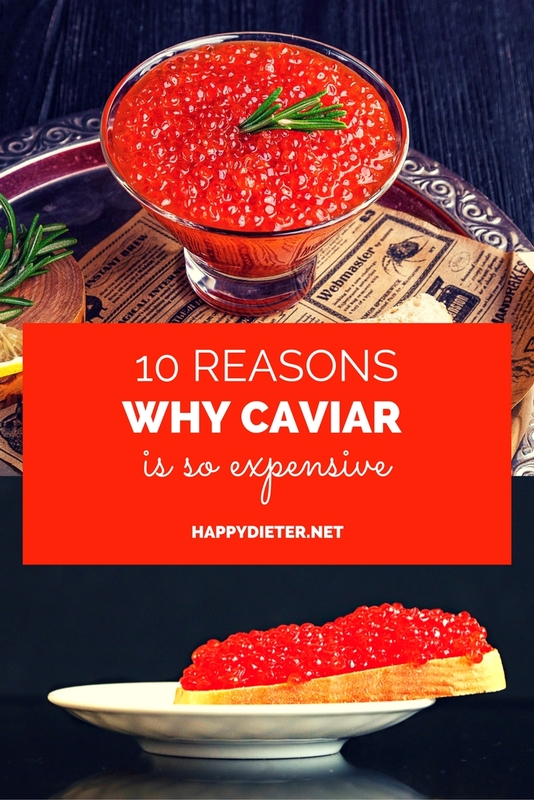 Eating caviar in the culinary world is like carrying a $50,000 Hermes purse in the fashion world. When you have millions and billions to spend, it’s natural to buy the most expensive thing on the menu. It’s a way for some people to show off their wealth. Caviar makes an Instagram-worthy post. Or perhaps they just like the taste of it, who knows? Caviar is delicate to handle and because of its texture, goes with a lot of different dishes. The ancient Romans like to eat it with potatoes. Nowadays caviar is an ingredient in many hors d’oeuvres. Aspiring chefs and five star Michelin chefs enjoy the challenge of creating a tasty and innovative dish made with caviar. It is every culinary artist’s dream to be trusted with such an expensive and luxurious ingredient. Like wine, caviar has a long shelf-life because it is cured. Some of the most expensive caviar has been cured for a while and come from the most mature fish. Keep in mind that caviar does have an expiration date and cannot be stored for as long as wine. Caviar is one of the healthiest ingredients available. It contains a significant amount of protein, vitamins, iron, calcium, magnesium, and omega-3 fatty acids. Caviar has the effect of lowering blood pressure and improving heart healthy. The calcium helps strengthen bones and is good for postmenopausal women who are at greater risk of osteoporosis. The vitamin A found in caviar is good for protecting your eyesight, especially your night vision for driving in the dark. Caviar is even thought to improve your immune function and decrease your risk of getting cancer. Your health and well-being are priceless.